Rte. 93, watercolor by James Bolton is part of Biologique on exhibit now at the New Mexico Art League. 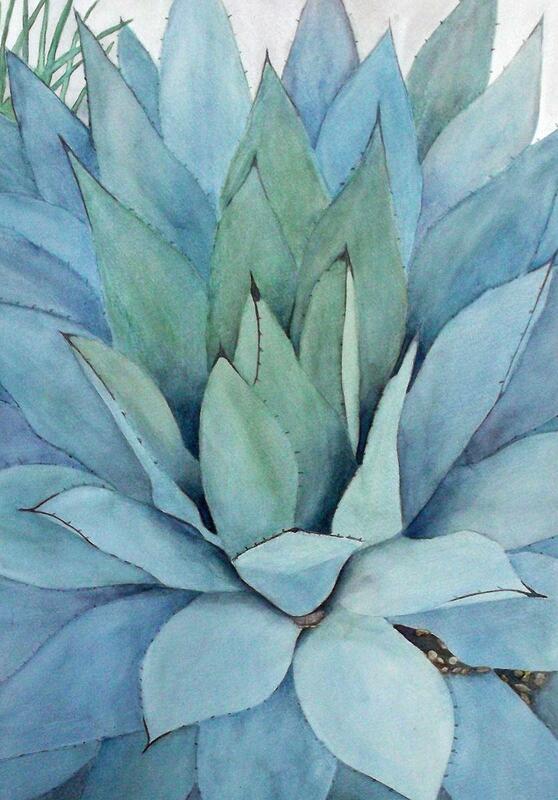 Agave, watercolor by Janine Wilson is part of Biologique on exhibit now at the New Mexico Art League. In 1929, students and faculty at the University of New Mexico established a separate school in Albuquerque where students of all ages and skill levels could study and appreciate the fine arts. Ninety years later, the New Mexico Art League is one of the oldest organizations in the United States offering serious arts training to the community. 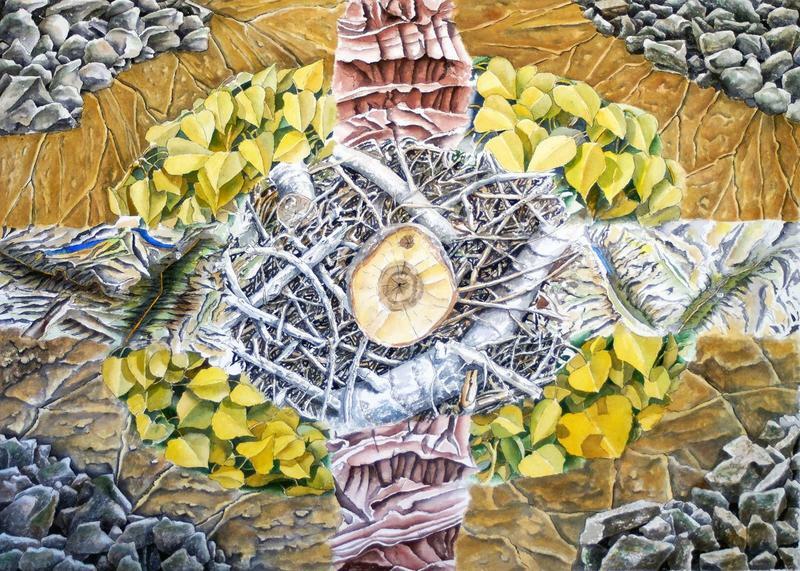 It also sponsors exhibitions for New Mexico artists, and the current exhibit, Biologique, runs through February 24. The Art League is about "giving access to people who would typically not have the opportunity to take an art class -- folks who always wanted to explore that part of themselves," says Executive Director Buffy Nelson. "This is a second chance for them to try their hand at making art." In this more complete version of the conversation, Buffy talks about the structure of the Art League -- its "working Board of Directors" and how it relies in large part on members' ability to volunteer time and services.